Our Nationwide container depots including Felixstowe, Suffolk means buying a quality shipping or storage container locally is made easy for you. If you are looking for shipping containers for sale in Suffolk then our regional office in Ipswich and nearby Felixstowe depot are well placed to help you get exactly what you need, including 10ft, 20ft and 40ft sizes. And because we have depots throughout the UK we can always give you a local service, wherever you are. We understand that sometimes you may wish to view the containers in person before buying. Our network of nationwide UK depots includes a location in Felixstowe, Suffolk. This means local tours of our containers for sale are available to you at your request. Get your shipping or storage container delivered anywhere in Suffolk including: Ipswich, Lowestoft, Bury St Edmunds, Felixstowe, Haverhill, Newmarket, Stowmarket, Beccles, Mildenhall, Woodbridge, Lakenheath, Halesworth, Leiston, Bungay, Needham Market, Kessingland, Southwold, Glemsford, Framlingham, Long Melford, Saxmundham, Aldeburgh, Ixworth and Wickham Market, Suffolk. 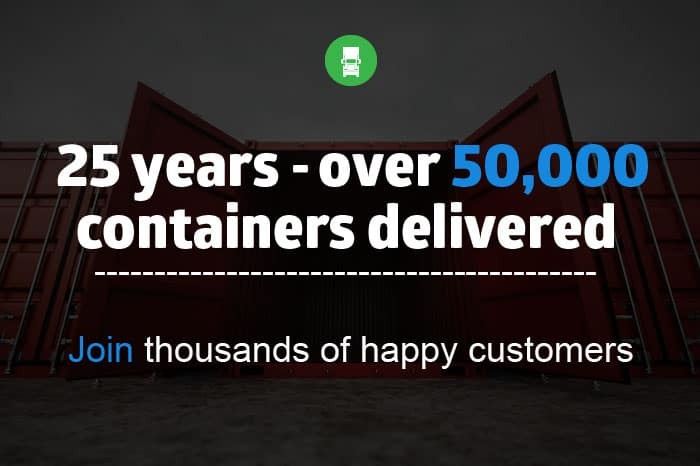 Are you looking for a brand new container shipped once from the factory, or perhaps you want a more budget friendly used container? No matter which, we are sure to have the perfect container in stock for you – at a price you will love. Choose from new one trip, grade A used or standard second-hand boxes for storage or shipping. Any container you purchase is reassuringly guaranteed to be delivered in wind and watertight condition thanks to our rigorous quality inspection process. Standard hand (10ft, 20ft, 40ft). Need another size? No problem we can customise. Use for storage, shipping or conversion. Built to high specification incuding air vents front and rear for maximum airflow. Want to know more and get prices? Just call our Ipswich office on 01473 281818 or complete the online enquiry form. Whether the container be used for shipping, storage or conversion. Which size required and whether you want to buy new or used. Where you require delivery to. Any modification or conversion work needed. Adaptainer’s friendly staff will then recommend the best available option and provide a highly competitive quotation to go with it. 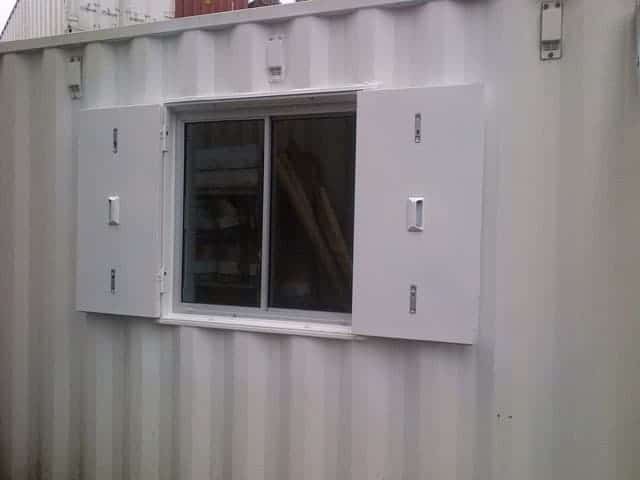 If you are considering to accessorise your container or even having it completely converted, we’ve got you covered there too. Your container can be modified or converted by us in anyway you need. Or perhaps you are planning a more ambitious modification and would like to take advantage of our bespoke container conversion services. With your imagination and our experienced container conversion specialists we can create just about anything for you. Felixstowe, Suffolk is a major shipping port where we hold a huge range of stock and is close to the Adaptainer Ipswich, Suffolk office – so you really will get a truly local service. And because we have container depots spread throughout the UK we can also supply you with containers locally across the country. How soon will I get my container? Delivery is fast, usually within just three working days of receiving your payment. Great Value – We never like being beaten on price. Get Exactly What you Need – Choose from a wide range of new or used containers for sale. (Hire options are available too). Quality Guarantee – 6 point quality control process ensures any used container you buy from us is delivered wind and watertight. Speedy Delivery to You – Local delivery within Suffolk or any one of our other nationwide UK depots. 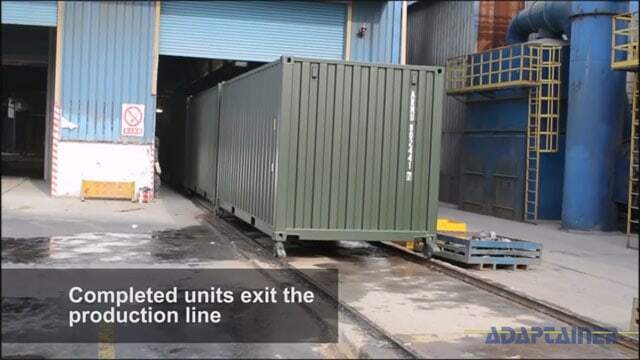 To discuss our containers for sale, contact Adaptainer’s Ipswich, Suffolk office on 01473 281818 or request a quick quote online.